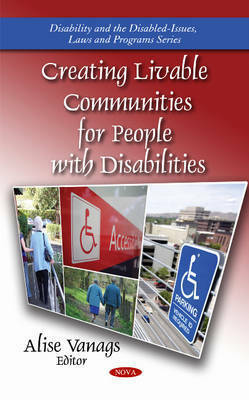 "Creating Livable Communities" is an outgrowth of the National Council on Disability's (NCD) interest and recent work in the topic of liveable communities for people with disabilities. The main impetus for this interest is threefold: 1) the prospect of a growing population of people with disabilities as the baby boom generation ages, 2) the desire that people with disabilities -- indeed, all people-have to live in their own homes and communities and maintain their self-determination, dignity, and independence for as long as possible, and 3) the pressures that these factors will exert on local communities that strive to become liveable for people of all ages and abilities. This book thoroughly examines these challenges, as well as addresses promising practices. This book consists of public domain documents which have been located, gathered, combined, reformatted, and enhanced with a subject index, selectively edited and bound to provide easy access.